Mr. Gilbert Chaghoury is born in Nigeria to Lebanese immigrant parents, he is an industrialist, advisor, and ambassador with a philanthropist vision. Gilbert attended boarding school in Lebanon before returning to Nigeria to start his career where he worked for a Nigerian company becoming one of their youngest Executives of Sales at the age of 17. In 1969, he married Rose-Marie Chamchoum from Miziara, the same small village in northern Lebanon as the Chagoury family and they had four children. In 1971, Gilbert and his brother Ronald founded the Chagoury Group that has grown to become one of the leading Africa based corporations in Nigeria. Its portfolio of activities includes manufacturing, construction, industrial, hotels, and high technology companies. The Group’s expansion plans include developing industrial links between Africa and China as well as Latin America. Today, the Chagoury Group is a leading Nigerian employer, with a workforce numbering tens of thousands of Nigerian and other African and international personnel. Gilbert and Rose-Marie Chagoury are known for their philanthropic and humanitarian work. They provide international scholarship programs to support the higher education of young people at both the undergraduate and post-graduate degree level. They make extraordinary contributions to St. Jude Children’s Research Hospital in Tennessee, USA, a non-fee hospital that treats leukemia and other cancers affecting children. In 2008, they funded the Lebanese American University’s Gilbert and Rose Marie Chagoury School of Medicine and its first School of Nursing, named the Alice Ramez Chagoury School of Nursing. The Louvre Museum in Paris named the “Gilbert and Rose Marie Chagoury Gallery” in their honor after donating their own collection of tapestries and vases. Gilbert was awarded several times; Founder’s Award by Danny Thomas, founder of St. Jude Children’s Research Hospital in 1985; Man of the Year by St. Jude Children’s Research Hospital in 1990; Order of Saint Gregory the Great at the rank of Commander by the Vatican in 1990; Commander at the Order of Arts et des Lettres by the French Government in 2000; Ordre National du Benin with the rank of Commander by the President of the Republic in 2001; rank of Commander at the Order of the National Cedar by the President of the Lebanese Republic in 2005; Ordre National du Tchad at the rank of Commander by President of the Republic of Tchad in 2005; Gold Medal of Honor by the Ministry of Culture and Communication Paris in 2007; and the Grand Cross of the Order of St. Gregory the Great by the Vatican in 2009. 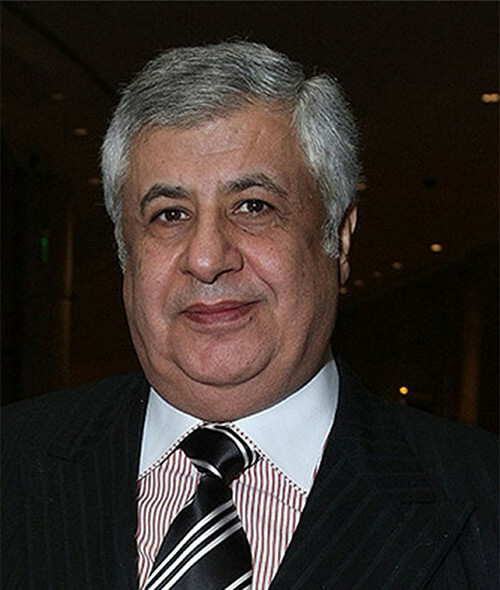 Gilbert Chagoury serves as Ambassador for St. Lucia to UNESCO, subsequently the Vatican and the United Nations in Geneva.